On this day in 1965 Roy Orbison ended his term with Monument Records. The Traveling Wilburys- Roy Orbison, Bob Dylan, George Harrison, Jeff Lynne, and Tom Petty- are NOW STREAMING. 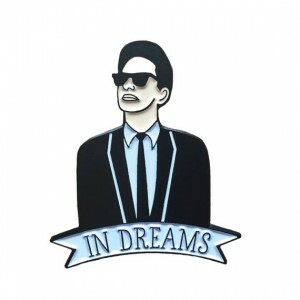 Available in the Official Roy Orbison Store! 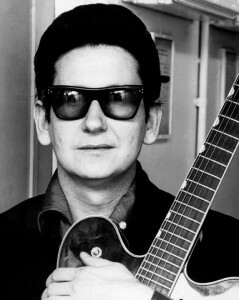 Revered by the likes of John Lennon, Keith Richards, Bruce Springsteen and countless others, the legendary Roy Orbison is one of music’s greatest and most distinctive singer/artists. Orbison, affectionately known as “The Big O,” possessed a spectacular soaring operatic voice that channeled a deeply-felt, wellspring of emotion, infusing darkness, pathos and hurt into two-to-three minute, picture-perfect pop songs. As 2015 drew to a close, there was big news on the Orbison front with the release of “The MGM Years: 1965-1973,” a multi-disc box set culling 11 studio albums, one soundtrack record plus a compilation of B-sides and singles. But even more significant was the discovery of “One of the Lonely Ones,” a long-lost album the Texas-born singer cut in 1969. Whether tackling the standard “You’ll Never Walk Alone,” inhabiting the blue heartache of Mickey Newbury’s “Sweet Memories” or the title track, the album, which features Orbison backed by a tight rock combo, orchestra and choir, is a commanding sonic monument that lends testament to his timeless legacy. Goldmine spoke with Roy’s son, Alex Orbison, who oversees his father’s musical catalog, for the backstory behind this historic release.